On Thursday, I had the pleasure of meeting with four very old but close friends. Our ages range from seventy-two to eighty-three. We enjoy a monthly get together to drink some adult-beverage and to swap tales while sharing a meal. We met on this evening at the Ashford House on 159th Street in Tinley Park, a midway point between our homes. Lou told us his neighbor had a very large Ash tree about fifty feet tall that died from an invasion of the Emerald Ash borer. The tree was dead, and Lou worried that the tree, which leaned toward his house, would someday come crashing through his bedroom. Lou reported the neighbor had the tree removed on the day before the storm hit. He lucked out. Rod, who also lives in a wooded area saw no damage to his property, but picked up many blown down branches. Al reported losing a single butterfly bush planted just three years ago. Al lives on twenty plus acres of trees. Joe told of a roof being blown off at the Mobile Home park just south of town, and the roof of the muffler shop on route thirty raised up several feet then dropped back in place. Four of us ordered the Thursday night special, a five dollar hamburger the size of a dinner plate, with soup, salad and fries. Sherman had lamb chops. As we ate we began kibitzing and telling more stories. 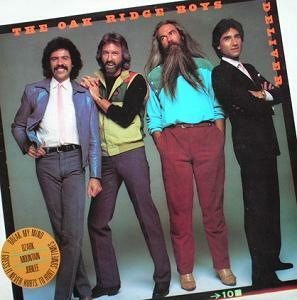 Joe began by relating a sudden desire to hear the Oak Ridge Boys in concert. They perform in Branson at this time of year, but Joe didn’t have the opportunity nor the cash to go. Just for fun he searched the I-net for the concert schedule and learned that the Boys who were at Branson on Friday would be at the Holiday Star Plaza theater in Merrillville, Indiana on Sunday. For more fun, he checked the ticket availability; they had eight tickets left in the mezzanine at seventy dollars a piece. “Okay,” he said, “sign me up.” By the time he paid taxes, fees, and seven-fifty to download the tickets to his printer his bill came to $194.00. He did it anyway because it was cheaper than driving five hundred miles to Branson to see them. A twenty-dollar CD would have been even cheaper. Al chimed in next. “I was talking on the telephone with my sister in Amarillo. One of her good friends wanted to borrow some money, but she didn’t have enough in her bank account. I joked with her that I had invested five dollars in a Mega Million lottery and expected to win that night. At 7:00 a.m. the next morning, I sent my sister an e-mail saying that I had won the Mega-Million lottery and a check would be in the mail to her. At 7:20 I received an e-mail from the NSA congratulating me for winning the lottery. The e-mail claimed it was from all NSA employees. At 8:30 a.m. I received another e-mail, this time from the IRS. It said that a normal tax amount would be deducted from my Mega Million winnings, but they knew that I had sold 2 million dollars of houses this year, so I would owe a high percentage of taxes on the gains from the property sales as well as any other income I had.They requested that I pay an extra $100,000 in taxes within ten days, and another $100,000 by January 15. Later in the morning, I opened an e-mail from the ATF. They said they had verified that I was stocking up huge stores of food including twenty-four frozen turkeys on sale at forty-eight cents a pound at Jewel. I answered the ATF that I purchased the food for the Frankfort Lions Club annual food distribution to the needy at Thanksgiving. The ATF responded almost immediately wanting me to give them a complete list of names and addresses of the Frankfort Lions and the recipients of the food delivery. Also, I am to include an inventory of weapons possessed by everyone on the list. Early in the afternoon, The DEA e-mailed me that they knew I recently had $400,000 in my personal bank account, and since I had no job, this was likely drug money. They said their drone had inspected my 21.3 acres of land and found many unusual, as well as some suspicious plants growing inside my house. They said if I was innocent, I would allow them to inspect my property and home. If I didn’t allow an inspection they would get a subpoena to do so. A moment of stunned silence overcame the group as they digested what they just heard. Al bust out laughing and confessed that none of the above actually happened but that it could happen today in the big government world we live in. And that folks, is how Boyz night out goes. The pre-engineering curriculum at Mendel included Mechanical Drawing. My drawing skills were pretty fair by then, and I became familiar with the tools by watching my brother Bill use a T-Square and a compass. The first day of class it became obvious I had to begin from scratch. Each student received a package of drawing tools that included a small board, T-square, 2 triangles, protractor, compass, a triangular scale, some pencils, a brush, and a Pink Pearl eraser. Printing the alphabet became the first assignment, but before starting, I learned how to use masking tape to fasten paper to the board. Mr. Allen, the teacher, showed me how to properly use a T-Square, and to draw parallel guide lines for the letters. Pencils suddenly became a science. There are many grades of pencils. I learned to identify the softness of lead by the code number and letter printed on the end, ranging from very hard, to very soft. For instance, a 4H lead is very hard and will make a very fine gray line, and an HB is very soft and black. Pressing hard on a pointy 4H pencil to make a heavy line will cut the paper. Soft leads like “HB” make blacker, wider lines that look good, but smear easily, and smudge the paper. A dirty drawing brought a reduced grade. Neatness was essential to survive the class. During my years of employment, I learned that machine drawings are larger and more complicated. They smudge easier because of the amount of lead on the paper. The smudged lead makes the background gray resulting in a poor blue print copy. A print machine requires light to pass through the drawing paper everywhere except where there is a line. If the background around the lines is smudged and dark gray, the copy will show blue lines on a dark blue background. The quality is lousy. The most easily read prints consist up of sharp blue lines on a white background. It seemed like weeks before we actually began to put a pencil to the paper. That is when I learned to print letters using prescribed strokes. First came large capital letters. When Mr. Allen felt I had mastered those, he started me on lower case. I learned to print letters between guide lines upright, slanted, large, and small before progressing to lower case. It must have been four classes before we finally got to draw something real; a two-inch square. Mr. Allen referred to every drawing as a plate. Each plate required a border, a title block, and finally the object. The title block needed space for the plate title, the date, our name, and class number. Each time we turned in a plate, he graded the quality of printing, line sharpness, and neatness. He subtracted points if lines defining a corner did not meet by touch. Conversely, he subtracted points if the corner lines crossed. In modern Computer Aided Design (CAD) programs, the computer will not recognize lines that are not connected to form a geometric solid model or wire frame. The lines appear on the screen, but the surface is not fully defined until the lines connect by five decimal places. I loved the drawing class, and still love all aspects of it till this day. I loved making the plates and using two views to create a third. I really like making 3D solids views using a vanishing point perspective. Mechanical Drawing was my first and only “A” in freshman year. Mr. Allen did a great job teaching the fundamentals and I eagerly learned by doing the work. 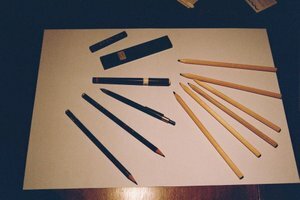 Drawing takes practice to develop skill, just as cooking or working a computer. Without the hands-on practice, the skills are lacking. The training served me well, because I used that basic skill to make a very good living. One of my classmates had a terrible time with drawing. After several weeks, he still lacked the ability to draw a right angle using the tee-square and a triangle. His square never was square, his printing looked infantile, and the drawings were dirty. The lines resembled those made by a crayon. It was painful to watch him struggle so hard with something that came so easy to me. I helped him as much as I could by coaching, but he failed the class, and dropped out of pre-engineering. Because Ike was the first and only black employee in our engineering department, my boss wouldn’t let me fire him. Ike had nine kids, and worked part-time as a minister. Often, when I made my rounds, and walked in on him, he was on the phone counseling one of his congregation. Eventually, I learned that Ike started a second full-time job with benefits. That became the trigger for my boss to give me the signal to let him go. Firing a guy is not easy, but in this case, I did Ike, the company, and me a favor.